The Books | Will You Miss Me When I'm Gone? 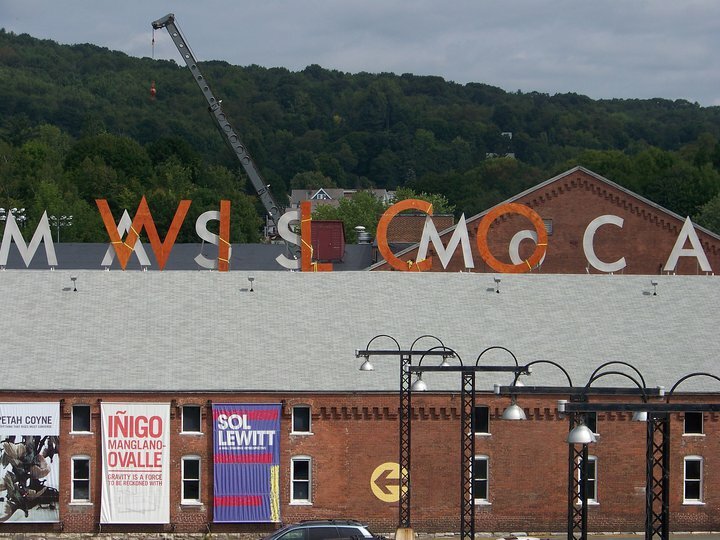 Wilco has already begun taking over the Massachusetts Museum of Contemporary Art. 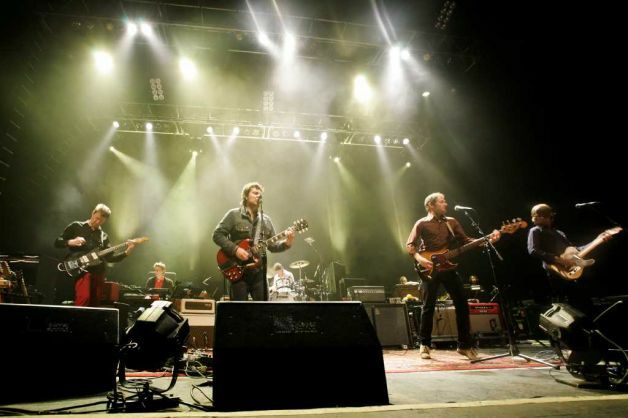 The three-day Solid Sound Festival, curated by Wilco, starts Friday. If you haven’t made your weekend plans yet, you really should think about heading to the Berkshires for the Solid Sound Festival in North Adams, Mass. Solid Sound is the band Wilco‘s takeover of the entire complex occupied by the Massachusetts Museum of Contemporary Art (MASS MoCA), a fantastic 19th Century factory complex with an ever-changing lineup of modern art. Just want to visit the galleries? We recommend you come a different weekend. We anticipate that more than 5000 people will attend the Wilco Solid Sound Festival August 14 + 15. While the galleries will be open to non-festival goers that weekend, visitors who are looking for a contemplative time in the galleries and easy parking should visit us on a different weekend or arrive as early in the day as possible. Starting at 8 on Friday night, the complex will be filled with thousands of Wilco fans intent on seeing their favorite band’s only East Coast show of the summer. But this event is special, because Wilco has managed to line up a place where all its side projects and friends’ bands can play too. If you can’t make it to the festival, or even if you’re there, be sure to check back for updates on Will You Miss Me When I’m Gone? and our Twitter feed.